Supreme Court Justice Ruth Bader Ginsburg -- aka "Notorious R.B.G." -- thanked soccer player Becky Sauerbrunn for wearing her initials on the back of her jersey during a match earlier this year, saying she is "proud" and will now wear the gifted jersey during her own gym sessions. 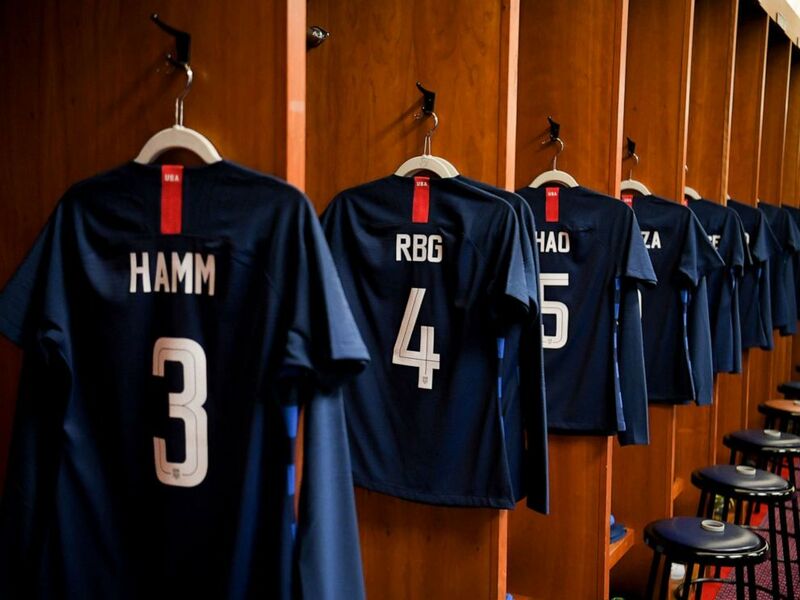 Last month, members of the U.S. Women's National Soccer team paid tribute to their female heroes who paved the way for women across all fields by wearing their names on their jerseys in place of their own. Players chose everyone from rapper Cardi B to "Harry Potter" author J.K. Rowling. Sauerbrunn, a defender for the national team, donned "RBG" on her back, in honor of the Supreme Court's second-ever female justice. After the game, Sauerbrunn sent the jersey to Ginsburg herself. 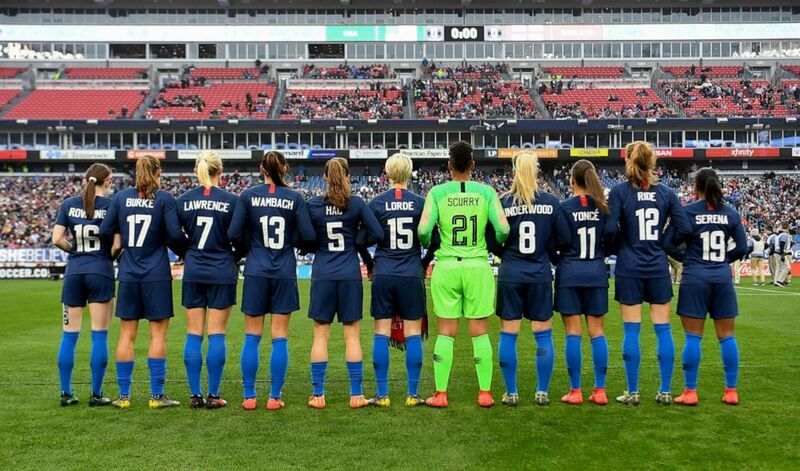 The U.S. Women's National Soccer Team paid tribute to inspirational women by donning the names of other women who have inspired them on their jersey's during their March 2, 2019 game against England. On Friday, the Utah Royals Football Club star posted the response she got on Twitter, where Ginsburg gave her a "huge thanks." "I am proud to be among the women chosen for recognition in the 2019 SheBelieves game against England," Ginsburg wrote. "The jersey will be my favorite for the biweekly workouts that keep me in shape." At 86, Ginsburg famously still hits the gym on a regular basis to stay strong and ensure she doesn't miss a day of work at the Supreme Court. Ginsburg has made a name for herself as a fierce defender of gender equality throughout her career. Just last month, the U.S. women's national team sued soccer's governing body for gender discrimination, arguing in court documents that the United States Soccer Federation dishes out more pay to the decidedly less successful and decorated men's soccer team.